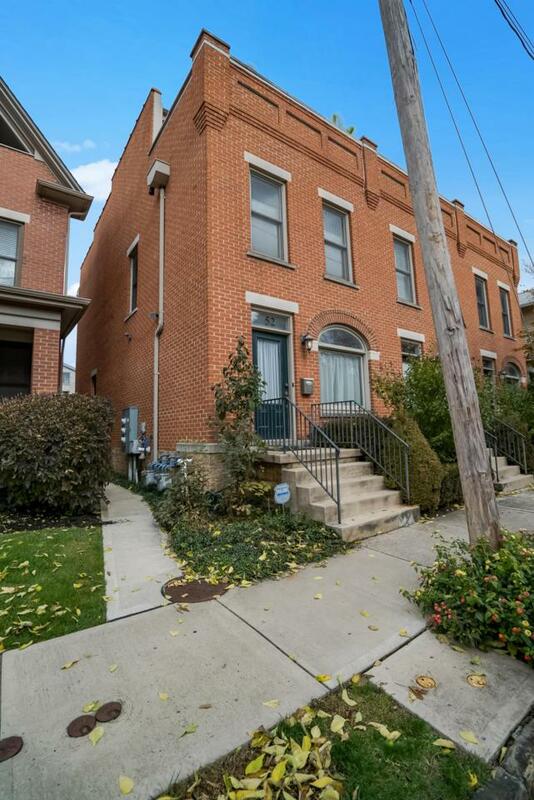 The epitome of Short North living is realized in this 3 Bedroom 3.5 bath condo. Boasting a desirable floor plan, this end-unit has 4 levels of well-appointed space perfect for entertaining. Main level features large kitchen including 2 built-in wine fridges, Kenmore Elite refrigerator/freezer, gas range & two ovens. Second level boasts master suite w/ vaulted ceiling & gorgeous chandelier, guest bedroom & second full bathroom. Third level features a built-in bar & fridge & is perfect for a study, living space or a third bedroom. Enjoy unobstructed breathtaking City views from the private deck. Finished basement w/ egress adds 500 sq ft totaling 2100 sq ft. Comes w/ 1 detached garage space, 1 deeded space, off street parking & guest passes. Steps away from all The Short North has to offer!